While I was in Chennai in December, I had the opportunity to attend the book launch of Swapnasundari’s book on Vilasini Natyam. Vilasini Natyam: Bharatam of Telugu Temple and Court Dancers tells the story of this dance tradition which was once performed in the temples and courts of Andhra Pradesh and other Telugu-speaking regions of South India. 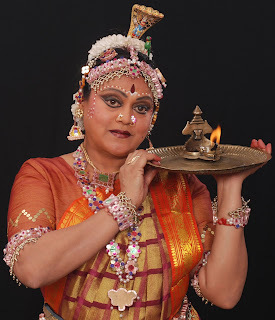 Bharatam is a generic term which refers to the performing arts which have their origins in the Natya Shastra, Bharata Muni’s classical treatise on the arts. Every Indian classical performing art is therefore a form of Bharatam which then developed its own unique features over time in its region of origin. 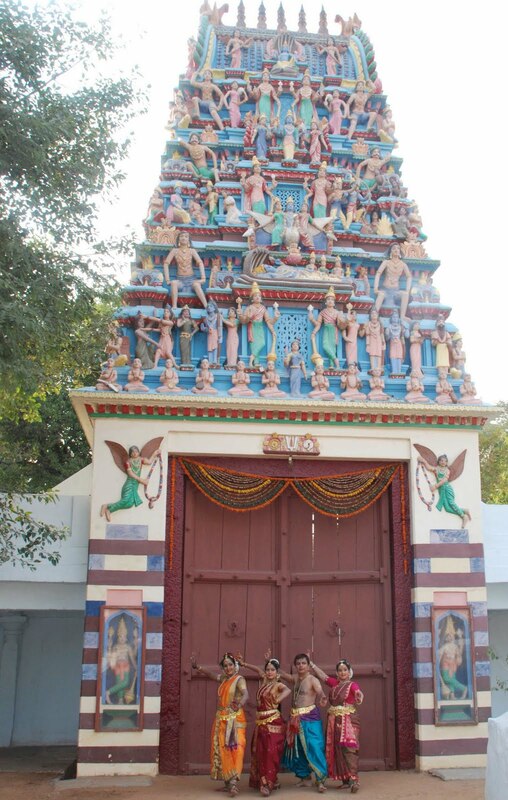 The Bharatam of the Telugu temple and court dancers – now referred to as Vilasini Natyam – did not go through a period of revival like many other Indian classical dance styles did around Independence, a period of cultural revival. By the 1950s there were very few active performers and this unique dance tradition was in danger of disappearing altogether. For the next five years, Swapnasundari took a break from her prolific dance career to follow her newfound passion. She travelled all over Andhra Pradesh and neighbouring Telugu-speaking regions to meet and interview the hereditary dancers of this dance tradition. She carefully documented everything she learned. She also had a great desire to learn this dance herself. It was only after a great deal of persuasion that some of these hereditary dancers agreed to teach her. 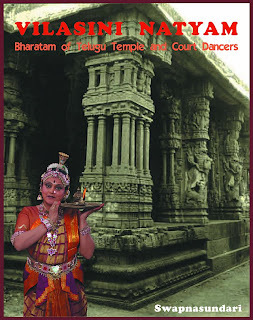 Swapnasundari’s book Vilasini Natyam: Bharatam of Telugu Temple and Court Dancers explores the history and revival of this dance form which was performed exclusively by hereditary female dancers. It gives an account of its origin, rise, decline and renaissance into the form Vilasini Natyam. 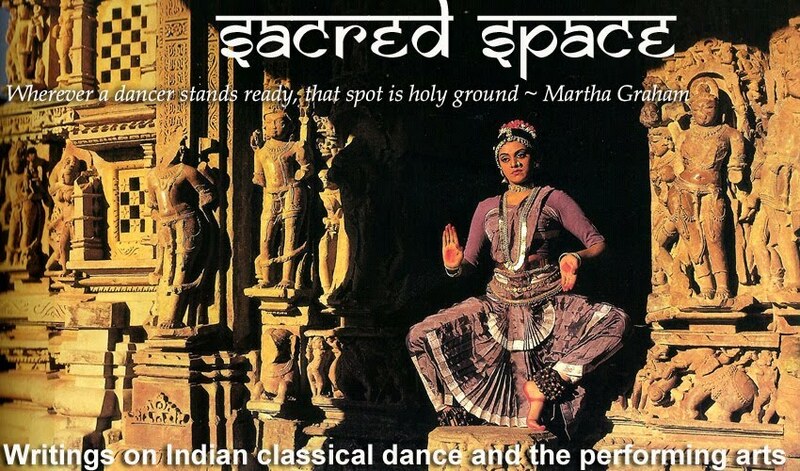 The lovely photo of a dancer posing in a temple in the banner photo of this blog I’ve called Sacred Space happens to be Swapnasundari! nice sacred place. thank you. Wow! What a revealing post! Thanks for introducing these dedicated dancers to us! I look forward to seeing Swapansundari dance one day.